Take ONE tablet at onset of migraine. Dose may be repeated after at least 2 hours if migraine symptoms return - do not take a second dose for the same migraine. Maximum dose is 5mg in 24 hours. Migard is an effective treatment for the relief of migraines. It contains the ingredient Frovatriptan, which is one of the several types of 'triptan' medicines. 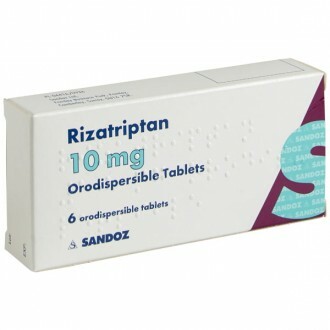 Triptans are commonly prescribed for the relief of migraine headaches. It isn't fully understood what triggers a migraine, but the associated throbbing pain is thought to be caused by a widening of the blood vessels in the brain. Migard's active ingredient (Frovatriptan) belongs to a group of medicines called serotonin agonists. These medicines stimulate the brain's serotonin receptors, which cause the affected blood vessels to narrow, relieving the associated pain. Migard, like other triptans, works best when taken at the onset of an attack. It will also provide a good level of relief if taken during an episode. 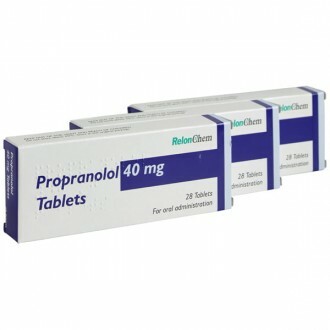 Triptan medicines are not able to prevent migraines, but they are safe to take in conjunction with other preventative treatment, such as Propranolol. In The UK, migraine headaches affect approximately 25% of women and 8% of men. The condition is believed to be partially hereditary, meaning a person may be more prone if a blood relative also suffers from the condition. A migraine sufferer will likely find that the most severe attacks can completely disrupt their day, causing nausea, light sensitivity, and intense throbbing pain. Many sufferers also experience a heightened intolerance to loud noises and strong smells. Taking Migard will help provide relief from these symptoms as well. Approximately one in every four migraine sufferers will experience some form of pre-migraine warning, which is known as an aura. This can involve visual cues, such as blurred or distorted vision. Alternatively, a sufferer may experience a silent migraine, where the aura occurs but a migraine attack does not follow. On average, a migraine will last for a few hours, but for some, they can continue for as long as three days. After a migraine has passed, the sufferer may continue to feel fatigued for several subsequent days. There are several factors which can trigger a migraine attack, including; a poor diet, excessive alcohol consumption, too much caffeine, stress, and not getting enough sleep. For some women, their monthly period can trigger a migraine attack. Speed – place your order before 4pm and receive your treatment as soon as the next day. Receive a free online consultation with one of our GMC registered doctors. Confidential and discreet service - we do not include any branding or logos on our packaging, meaning your treatment can be discreetly delivered anywhere. Our doctors and independent prescribers are based in The UK. We are approved and regulated by the National Pharmacy Association and Care Quality Commission. 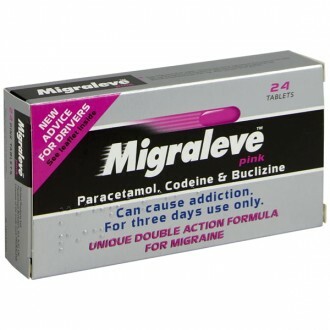 Take one 2.5mg tablet as soon as you notice the symptoms of a migraine attack. Swallow the medicine whole with a sip of water. Frovatriptan is most effective if taken at the start of a migraine attack, but will also provide relief if taken later on during the episode. After two hours, you can take a second dose if the attack has either returned or not gone away. Do not exceed two doses (two tablets) within a 24-hour period. Excessive use can lead to adverse side effects. Frovatriptan is not suitable for children. It is not recommended for those over the age of 65; the safety of this medicine for this age group is unknown. Nausea, digestion problems, dry mouth, stomach pain, tiredness, tightness in the chest, further headache, dizziness, poor circulation, hot flushes, difficulty breathing, excessive sweating. The active ingredient contained in Migard is Frovatriptan. Tablet core: Anhydrous lactose, microcrystalline cellulose, magnesium stearate, sodium starch glycollate (type A), silica colloidal anhydrous. Tablet coat: OPADRY white: titanium dioxide (E171), anhydrous lactose, hypromellose (E464), macrogol 3000, triacetin. Before taking Migard, consult your GP if you are at high risk of coronary artery disease. This includes smokers, men over the age of 40 and post-menopausal women. Stop taking Migard immediately if you notice any symptoms of heart attack, including tightness of the chest, shortness of breath, or discomfort of the arms, neck or torso. I had previously been prescribed Migard, but have now been given Frovatriptan. Is there a difference between the two? Frovatriptan is the active ingredient in Migard. The patent on the Migard brand has recently expired, which means the generic medicine, Frovatriptan, can now be produced by other reputable pharmaceutical manufacturers. When a medicine is first launched, it is given a license or patent, which means only that manufacturer can produce it. When this patent expires, it allows other companies to produce the same treatment. This unbranded version is known as a generic medicine. In most cases, generic medicines are significantly cheaper in price, due to the increased competition. Generic medicines are still produced by licensed manufacturers and must con form to the same strict manufacturing standards as the branded alternative. 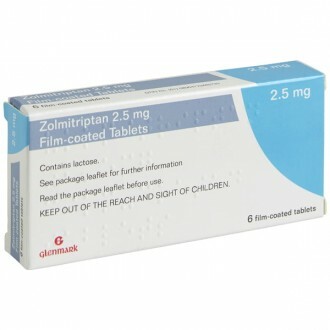 What do Frovatriptan/Migard tablets contain? Both Frovatriptan and Migard contain 2.5mg of the active ingredient (Frovatriptan) in each tablet. Also included are several inactive ingredients, which are used to make up the body of the tablet. For additional details, please refer to the 'Ingredients' tab above. It isn't completely understood what causes a migraine attack. However, the throbbing pain is believed to occur as a result of dilation (widening) of the blood vessels in the brain. Frovatriptan (Migard) is a serotonin agonist, which means it acts to stimulate the brain's serotonin receptors. This has the effect of narrowing the affected blood vessels, resulting in relief from the associated pain. How do I take Migard tablets? 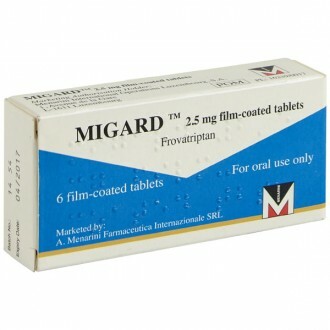 Migard is most effective if taken at the onset of a migraine. However, this treatment can also provide some relief if taken later on during an attack. If your migraine returns, you can take a second tablet, two hours after your initial dose. 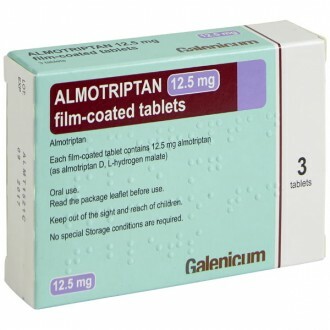 Do not exceed two doses (2 tablets) within a 24-hour period. Is it safe to use other Migraine treatments alongside Migard? It is safe to use painkillers, such as paracetamol or ibuprofen. 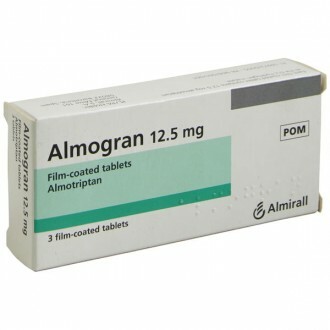 Also, antiemetic treatments, such as Prochlorperazine Buccal Tablets can be used in conjunction with Migard. 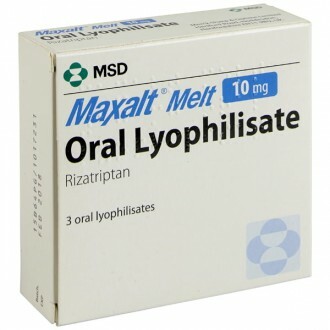 However, it is not recommended to use two or more triptans medicines concurrently. Because all triptans work in a similar way, taking more than one will not provide any additional benefit. Instead, exceeding recommended dosages will put the user at greater risk of experiencing adverse side-effects. How much Migard can I buy in one purchase? Frovatriptan and Migard tablets are prescription-only medicines (POM). For that reason, we only supply a maximum of three packs of medicine at a time. This is to both ensure patient safety and the legal and ethical operating of our pharmacy. limiting the quantity a patient can order allows us to offer an adequate supply of medicine, whilst providing the appropriate check-ups on their symptoms and treatment. This model provides the perfect balance between convenience and patient care. If you do not suffer any adverse effects, and if your migraines are well controlled, you can easily log-in and re-order another supply. Should I take Migard with food? Migard tablets can be taken with or without food. It is much more important that they are taken as soon as possible after a migraine attack begins. Is Migard affected by alcohol, antibiotics or the contraceptive pill? None of the above should have any effect on Migard. However, alcohol can make a migraine attack worse, so you may want to avoid it. Although Migard is not affected by the contraceptive pill, migraines can be linked to hormonal changes during your period. Are Migard tablets available for next-day delivery? Is it safe to buy Migard Online? Yes – as long as you are buying from a website that is a legally operating and regulated pharmacy, it is perfectly safe to buy Migard online. How do I buy Migard tablets online? You will need to fill in a simple health questionnaire so that our GPs and Pharmacists can ensure it is safe for us to supply Migard to you. It only takes a few minutes, and your treatment can be delivered to your door as soon as the next working day. What are the advantages of buying Migard online? A wealth of information - we provide all the information you could need on Migard and other migraine treatments, in easy to digest formats, at a time that suits you. Does Migard help to prevent Migraines? 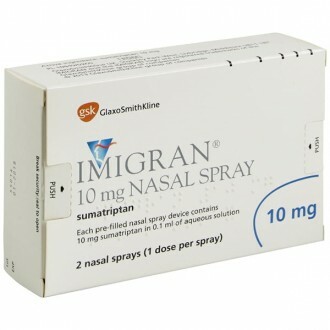 Migard and other triptans are used to treat acute episodes of migraine. They work by reversing the dilation of the blood vessels in the brain, which is thought to cause migraines. For this reason, they should only be used to treat existing, or oncoming migraines; and not be used as a preventative treatment. Migard will prove ineffective at preventing migraines that have not yet occurred. They may even contribute to making your migraines worse if used as a preventative measure. Although it helps to relieve migraines, Migard is not a painkiller. All of the triptan medicines are serotonin agonists. The pain relief is a secondary effect. If additional pain relief is required, Migard can be used alongside traditional painkillers such as paracetamol and ibuprofen. Will Migard definitely cure my Migraines? Migard is an extremely effective migraine treatment for sufferers who experience mild, moderate, or even severe migraine symptoms. Some migraine sufferers may find that Migard is less effective, or even ineffective. If this is the case, there is no cause for concern. Migard is not effective for everyone. If you have tried it on a number of occasions without achieving the desired results, it would be recommended to try a different migraine treatment. Triptan medicines all have the same mechanism of action. However, people can respond differently to each one. 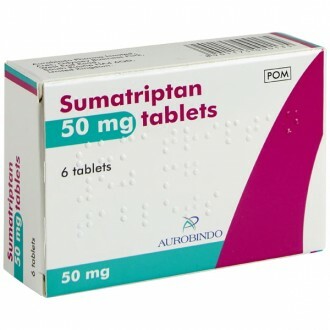 If one treatment, such as Migard, has proven ineffective, it is worth trying a different triptan, such as sumatriptan, to see whether it works better for you. I normally get Migard tablets from my doctor - why should I buy them online? Migard tablets are available on the NHS from your GP if you have been diagnosed with migraines. This is normally where we suggest people start their treatment, to ensure that their condition is properly diagnosed and any possible serious symptoms are addressed. At The Independent Pharmacy, we take the headache out of getting your migraine treatment.